I spent most of the day sick in bed (thanks, weather!) and wound up watching some movies I've wanted to see for a while. In this case, I watched "Cat's Don't Dance", a 1997 animated feature about a cat trying to make it in 1930's Hollywood. It was a decent film, but the style reminded me of a lot of classic Warner Bros stuff, and Darla was just this insanely evil character. 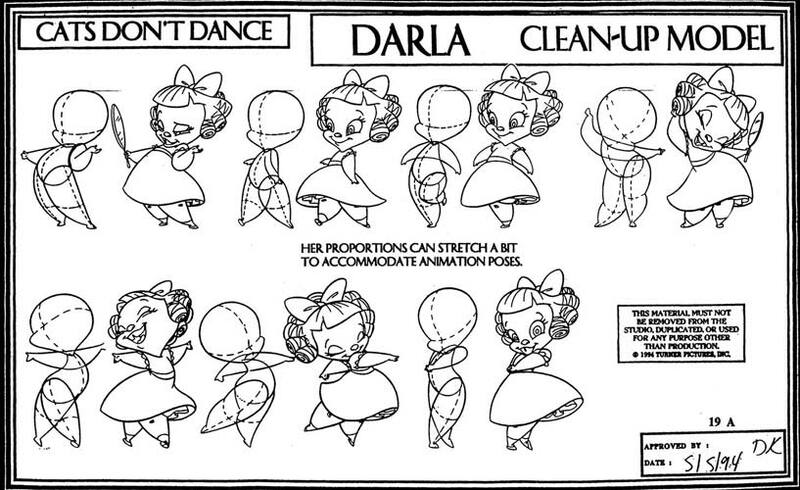 So I wanted to do a Preston Blaire-inspired design of a cute lil' devil, and wound up using a Darla model sheet to help with the proportions and hair. I kept it as generic as possible. I wound up using only one pen for this entire piece, a "bold" Pitt Brush Pen. It was a challenge since the idea was to have little variation in the lines unless I was bolding something. The entire piece is an exercise in trying a different style I don't normally do and trying a technquie I don't use very often. The use of force and balance was really important for me since its been really bugging me that I don't seem to have it in a lot of my pieces in the way I want. I still don't have it there yet, but I think this piece has more "bounce" to it than a lot of my work in the last year. Actually, on that note, I'm nearing the end of the year on this project with 10 days to go. Pieces like this remind me why I started it.